Viral Social Media Campaigns Are A Marketing Avalanche! Word-of-mouth marketing is the most effective type of marketing that exists. That’s why having a goal of developing a viral social media marketing campaign is so important. It’s word-of-mouth marketing on fire. Once the momentum gets going, that fire will burn hotly, causing it to spread far and wide. The results of a successful viral marketing campaign can be amazing in terms of brand awareness and sales. You might be wondering what it takes to make something viral? You can take the steps listed below and have a good start on a viral idea – no one can guarantee your plan will go viral but it stands a better chance once you use the tips below. 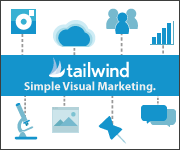 Video and images are the best way to create a viral marketing campaign. Video works better because you can put so much more into a short video to make it worthy of becoming viral, while still maintaining your message and your brand information. Images can also work, but it’s imperative that you don’t forget branding. Your clients will love sharing a short video about something that is fun and interesting to them. You can tell a quick story about your shop or just get the word out about something unique coming to your shop. Videos don’t become viral by accident. Well, some might, but mostly viral videos are carefully planned out. The makers wanted them to become viral and ensured that they had all the elements needed to be viral. You need to script your video or plan your infographic in a way that you know for sure that your audience will receive the message you wanted them to receive. The message needs to hit the audience’s triggers and give them a reason to share. People share things that make them look good – so start with that in mind when it comes to looking for what will make your message viral. Creating a virtual marketing campaign requires that the maker understands their target audience. It’s important that you know what triggers them to make decisions. Is it wanting to be in the inner circle? Is it wanting to appear clever? What makes them tick, and what would make them share your viral social media marketing campaign? Use those factors in your videos and images for your viral marketing campaign to ensure that they will go viral. People will share when it’s advantageous to them, and you need to make it look really good or really important to share. Every marketing message you make should always include a call to action, and your viral social media marketing campaign is no different. The people who watch your video or look at your infographic should know what you want them to do with it. Do you want them to share, to buy something, to understand something? What is the purpose of your video or the image? Don’t keep it a secret. When you ask the people watching or reading to do something specific, you stand a better chance of them actually doing it. Never forget the acronym KISS. You’ve seen it before; this is nothing new. But it’s super important that you remember that simplicity is the key to creating truly awesome viral marketing campaigns. Your content should be brilliant and high quality, but you don’t need a 10-minute video or a novel for a terrific infographic. Know your main points and focus on just two or three. As a matter of fact, people are more likely to watch a shorter video and therefore share that video. As you create the viral marketing message you want your audience to receive, it is important to remember the factors that pull in the viewer and make them want to share. Your images should be real, touch on a current event, speak to your audience in a manner that is relevant to their lives, and perhaps pull an emotional string or two in order to be successful. It really doesn’t matter what you sell; if you let your creativity flourish, you too can create a successful viral social media marketing campaign. What types of viral campaigns can you think of that you liked? What about the ice bucket challenge? That was superb marketing. Tell me about it in the comments.